The latest news updates from the world of work. Like the Occupy movement, this protestors have no particular leadership, no single person calling the shots. Many of them are peaceful, some of them are locked in violent battle with the police. 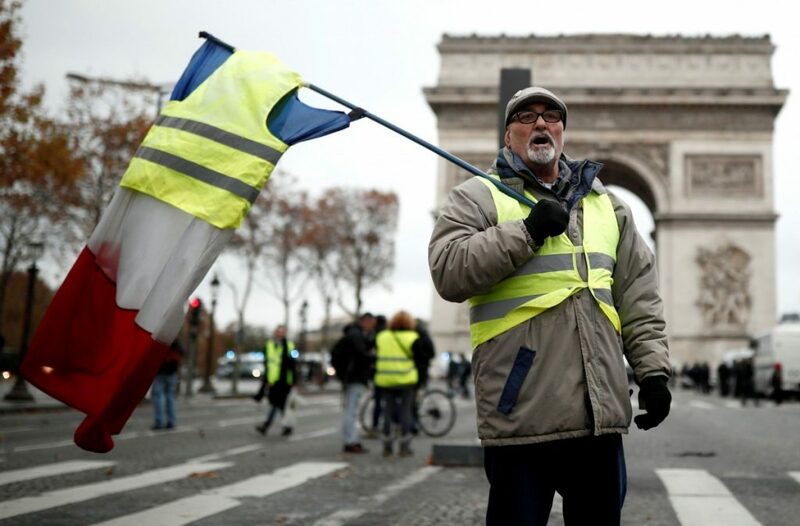 The Emmanuel Macron government has assigned almost 100,000 policemen across the country to try to control the huge crowds that are coming out in solidarity with the cause. The gilets jeunes are now in their Acte 4, the fourth week of protest. Their insurrectionist politics has baffled many pundits in the country and across the world. The demands are numerous and comprehensive, beginning with the overhaul of the tax system and an increase in minimum wage. Other demands include a rewriting of the constitution, breaking media monopolies and allocating greater funds to the ailing judicial system. In a frozen food factory in Vadodara, four people died while cleaning a tank. Reports say that a lack of oxygen in the tank caused them to fall unconscious and subsequently led to their death. This is one reading. Another reading is that it wasn’t the lack of oxygen that killed them but the irresponsible management that asked them to enter a tank without the necessary equipment. The story is bleakly similar. First, one person went in and passed out from lack of air. The next three went to save that person and they also fainted. They lost their lives because they were trying to save their friend. Would the owner of that factory have done the same? Suddenly, after four people lost consciousness, oxygen masks were found and provided to the next group. Does this mean masks were available and were not provided to these people? Their names were Kamlesh Jadav, Vinod Jadav, Manish Padhiyar, Kiran Solanki and none of them older than 25 years. Their families refuse to take away the bodies till the company agrees to compensation, according to the Indian Express. What is the company negotiating? The cost of these lives? Another story of negligence and death. Here, a foam factory with more than 200 employees went up in a great conflagration. Multiple LPG canisters exploded and the flames took a huge effort to contain. So far, three people have been reported as dead. These workers were earning Rs 200 a day. Apparently, the factory did not have the proper permissions and has seen smaller incidents of fire before which were handled internally. An Indian Express report said the village is asking for the factory to be closed and alternative employment to be found for the employees. Their other alternative is to continue working in this site of violence and death. The strike by workers of Pricol came to an end last week after 100 days. The management and the union agreed on some of the demands and decided to continue negotiating on others. The major demand to take back the 144 workers locked out of the factory was accepted by the management. The management also agreed to engage in wage negotiations with the AICCTU-affiliated Pricol workers union. However, the workers were in for a rude shock, when nearly 300 of them were asked to report to factories in other states, including Pant Nagar in Uttarkhand. While the workers protested against this act of victimisation, the company claimed that frequent worker unrest has led to a depletion of order at Coimbatore. There is also a fear that the company might push for voluntary retirement schemes to cut the unionised work force. According to The Tribune, 32,000 daily wage workers the public health department are demanding regularisation of their jobs and regular payment of their salaries. Currently, they receive their wages after long delays. Hundreds of workers tried to march to the secretariat in Jammu to discuss their demands with the government, but were stopped by the police. Elsewhere in the state, unions organised protests outside government offices. Bonded labour is abolished by law, yet is still practiced as custom, even in states like Tamil Nadu that have the reputation of being “developed”. A family of four were trapped in slavery in a village not even an hour away from the heart of Chennai. They took a loan of Rs 15,000 and after working for eight years, they had apparently only paid back Rs 5,000. The person who had enslaved them even asked for their minor daughter in marriage. They were rescued by the Released Bonded Labour Association and the revenue divisional officer of Chengalpattu in March. Read more here. The Guardian carried a report from New Delhi on the awful state of Uber drivers in this country. They were promised huge earnings and were convinced to take loans on cars. Then, the company changed their tune. 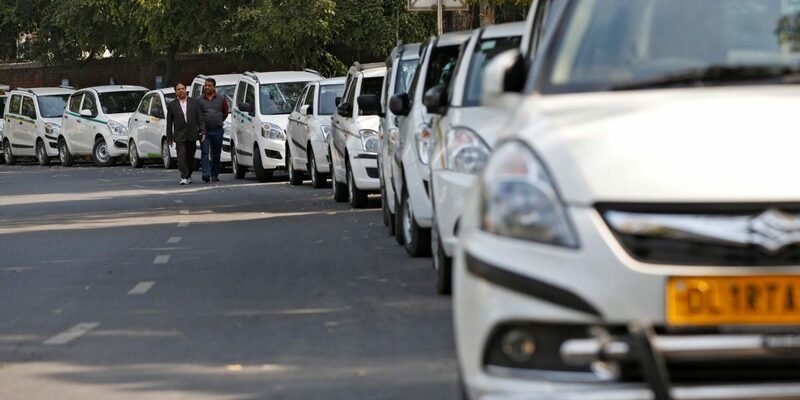 “Uber reduced the rate per km charged to passengers from 10 rupees [11p] to just six rupees. We used to get an incentive of 2,000 rupees every day once we had completed a dozen rides. This was cut back to just once a week for doing 40-50 rides. 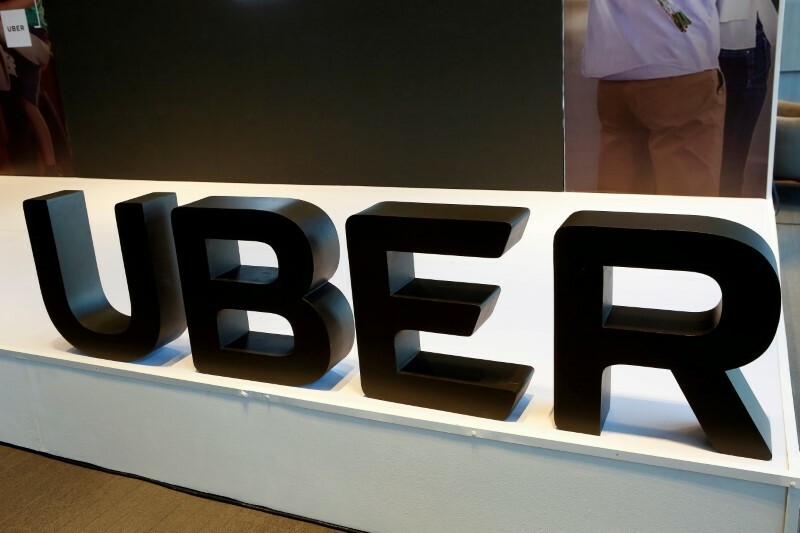 And they hiked their commission from 20% to 25%,” said one Uber driver, Naresh Kumar, to The Guardian. Now the riders are stuck. Because of the loans, they cannot get out of this ‘job’. They are calling it slavery. And Uber describes this situation as getting out of a “startup mode” to a “more sustainable business model”. But sustainability for whom? They are now essentially operating on the fact that their workers are trapped. In this situation, deleting the app will not solve the problem. The government has to step in and regulate the company, force them to pay higher rates to their workers and pass the cost on to the consumers. Indonesian workers became the latest victims of the ongoing conflict between government and separatist forces in Papua. Over 30 workers were gunned down by motorcycle-riding separatists, while they were working on a government bridge construction in a remote district in Papua. The region had come under Indonesian rule after a UN vote in 1969. But an insurgency for a separate state has been ongoing. The separatists view the government’s efforts at infrastructure development as a way to gain greater control and rob the region of its natural wealth. They have also targeted workers from mainland as being outsiders. This is the most ghastly and fatal incident of this nature. None of the AI thrillers that plot global conflict between humans and machines, could have predicted this. A robot punctured a can containing concentrated bear repellants, causing injury to 24 workers, who were hospitalised for examination. At a time when its ‘human’ robots are up in arms against the strenuous working conditions and poor pay, Amazon could have done with one less problem from its mechanical robots. “Since 2016, HarvestHER has existed as a forum to relieve the loneliness and stress that have plagued women of the male-dominated harvest industry since enterprising young cutters started following ripening wheat from north Texas and Oklahoma through Montana and North Dakota. Women make up only 31 percent of American farmers, and although no data exists for harvesters, a similarly small percentage has produced a culture in which they have been largely unnoticed. While women are essential to the industry, their role, like that of many women, in this already overlooked corner of traditional agricultural has never been fully recognized or appreciated.” Read more here. “Workers in Shenzhen, China, toil day and night sewing clothes, building iPhones and iPads, constructing skyscrapers and new subway lines, and cleaning hotel rooms for global capitalists negotiating business deals. During a recent visit to Hong Kong and mainland China, I explored labor relations in this city of 13 million that has been at the heart of the nation’s industrialization miracle.” Read more here.